Organisations can spend significant amounts of money on securing their personal and commercial data. But, it’s a fact of life that no matter how much you spend on security at your office premises in relation to access control to buildings and offices, or surveillance systems, or how much security you place onto your IT systems and even how secure your cloud-hosted partners are; it counts for nothing if your workforce is unaware of the consequences of allowing unauthorised access to a data subject’s personally identifiable information. Criminals exploit human weaknesses through Phishing attacks, for example, trying to fool users into disclosing security information or worse. Do your staff know how to recognise these attacks and what to do about them? Do they know how to avoid an accidental data protection breach? Do working practices increase the opportunity for accidental unauthorised disclosure of personal data? For example, are the desks cleared at night? Do the computer screens lockdown to screensaver automatically? Are screens turned away from the public gaze? Are whiteboards out of view from visitors? Don’t let ignorance of the GDPR or misinformation about the requirements of the GDPR put your organisation at risk. Compliance and Privacy Solutions can provide CPD accredited online GDPR Training to raise awareness in your staff and is also suitable for sole traders and business owners. We can also provide in-house awareness GDPR training at a competitive cost. Can we help you with your GDPR training & data privacy needs? It’s a fact of life that no matter how much you spend on security at your office premises or how much security you place onto your IT systems and even how secure your cloud-hosted partners are, it counts for nothing if your workforce is unaware of the consequences of allowing unauthorised access to a data subject’s personally identifiable information. For example, are the desks cleared at night? Do the computer screens lockdown to screensaver automatically? Are screens turned away from public gaze? Are whiteboards out of view from visitors? 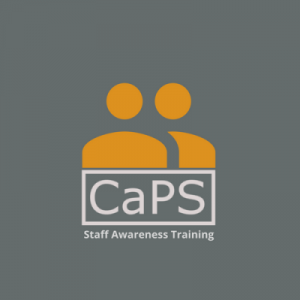 Don’t let ignorance of the regulations or misinformation put you at risk, CaPS can provide in-house awareness training to your workforce at a competitive cost for 20 employees a session (free with the CaPS Pro package) at a time to suit your business needs.